Your time. Your money. Your future. Installing a solar power system for your house is a great decision, but the process is complex. There are thousands of installers, thousands of different solar panel brands, hundreds of solar inverter manufacturers and thousands of loan options. How will you choose your best package? How will you even know what questions to ask? You are not alone! Energy Advisor Hub combines our many years of solar industry experience with cloud-based technology to help you go solar with confidence. Verified and State licensed (independent) Solar Advisors are equipped with the tools via our platform to connect you with the right equipment, the right installer and the right loan option for your needs and goals. They will answer your questions with unbiased advice and no pushy sales tactics, all while saving you time and money on your new solar system. Energy Advisor Hub and Solar Yellow Pages teamed up to provide you with a wonderful experience. Start comparing verified solar installers by clicking the button below. Our licensed solar advisors are here to answer all of your questions. Contact (833) 2-THE-HUB (284-3482). Our cloud-based platform will provide you with all of your options and you can compare them side-by-side while our Solar Advisors are there to assist you and answer all your questions. We have made it simple for you to go solar and save more! Maximized savings due to our "Real-Time" Companies and Quotes comparison. 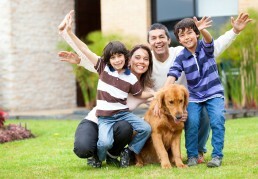 Top warranties and guarantees mean peace of mind to you. Sit back and relax. Our Solar Advisor and the installer will take care of the rest for you. What are you waiting for? Start comparing installers today! Finding the right solar solution for your home usually takes hours of research and lengthy and inconvenient sales appointments with pushy sales reps from multiple companies. But who has the time? Avoid the hassle. Our licensed Solar Advisors, either online or on-site, will answer all of your questions and help you save more on your solar project by utilizing our quote comparison platform. You receive offers from multiple top rated local installers. Our installers compete to join our platform and they must work hard to maintain their good standing status. We fully vet them before bringing them on-board so you can enjoy peace of mind, knowing that you’re getting competitive pricing, high quality materials and world class service. Start with comparing installers online on our sister platform “Solar Yellow Pages”.